Chi Energy Balance provides therapeutic bodywork services that restore essential life-force vitality through an integrative approach to healing chronic stress, anxiety, and post-trauma injury. Craniosacral Therapy, Manual Inflammation Reduction/Lymph Massage, Aromatherapy, and Sound/Vibrational Healing are proven techniques that help facilitate your body's avenue to health and well-being. 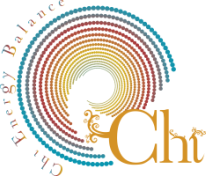 ​Pam Lorentz MSW, RN, LMBT , co-founder of the Center for Health Integration (2002-2016) and Hands for Peace Women's Trauma Relief Clinic, now offers Chi Energy Balance to meet your personal goals for strengthening resilience and expanding your options for living your best life.